Earlier this week, FHQ briefly examined the proposal from Wisconsin state Senator Tim Carpenter (D-3rd, Milwaukee) to shift the Wisconsin presidential primary back to February. The presidential primary in the Badger state is currently scheduled for the first Tuesday in April, the spring election date in the state. Carpenter's proposal would move the primary back to the third Tuesday in February spring primary date where the election spent the 2004 and 2008 cycles. The proposed change has not yet been introduced as legislation before the Wisconsin state legislature, yet Carpenter's vision of a (general election) swing state drawing candidates into the state to campaign in an early primary is already facing resistance. But Assembly Speaker Robin Vos, R-Rochester, opposes the idea. “He is fine with the current date,” spokeswoman Kit Beyer said. Pushing all that aside for the time being, even the history of Wisconsin presidential primary movement seems to bolster the idea that the Badger state is particularly rooted on one date. For much of the post-McGovern-Fraser reform era of presidential nominations (1972-present), Wisconsin has held its presidential primary on the first Tuesday in April; what has been referred to in state law as the April or now spring election date. The only exceptions to that were in 2004 and 2008 when the primary was pushed to the third Tuesday in February spring primary date. Both the first Tuesday in April date and third Tuesday in February date have been in the Wisconsin statutes and have been viable options on which to consolidate the presidential primary with other primary elections (or other elections). The only deviation from that was the 1996 Wisconsin primary. That is the only time in the post-reform era that the Wisconsin presidential primary did not toggle back and forth between the February and April election dates. In 1995, the Wisconsin legislature passed legislation moving the spring primary and spring election dates up two weeks. The spring primary was shifted to the first Tuesday in February and the spring election date was moved to the third Tuesday in March. 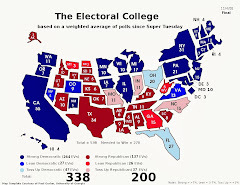 The presidential primary was scheduled for the latter date -- still the later spring election date -- which coincided with presidential primaries in Illinois, Michigan and Ohio.1 This 1995 law expired on May 15, 1996. That was after the spring primary and spring election in 1996. 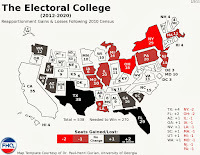 That had the effect of automatically resetting those elections to their pre-1996 positions: the third Tuesday in February for the spring primary and the first Tuesday in April for the spring election. That history says something about the present Wisconsin primary date or the future date of the 2016 primary anyway. Will the legislature move the primary to the February spring primary date as Senator Carpenter is calling for? It does not look like Republicans in the majority will go for that. Will the legislature move the primary at all? History seems to indicate that it will not. There is only one case where the presidential primary in the Badger state did not fall on the February spring primary date or the April spring election date. That is once in eleven post-reform cycles thus far (not including 2016). There is a chance, then, but a small one. 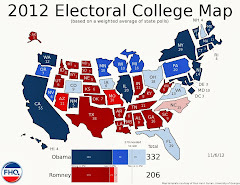 As FHQ has noted, Wisconsin Republicans have tended to use a winner-take-all method of delegate allocation in the past. The current Republican National Committee delegate selection rules allow states to allocate delegates in a winner-take-all fashion in contests scheduled as early as March 15. Neighboring Illinois and Missouri are already slated for primaries on that date. Other neighbors, Michigan and Ohio are on the calendar for March 8 primaries. The regional primary concept was enough to move Wisconsin for the 1996 cycle and there is one option available with regional partners that also allows Republicans to maintain their preferred(?) winner-take-all allocation, March 15. Will that combination be enough to prompt Badger state legislators to move Wisconsin up three weeks on the calendar? We shall see. 1 The article from the Wisconsin State Journal mentions that this was called "Big Ten Tuesday", but FHQ has never seen that moniker for that series of contests. We have seen it called a Great Lakes (regional) primary (see Busch 2000), but not "Big Ten Tuesday". 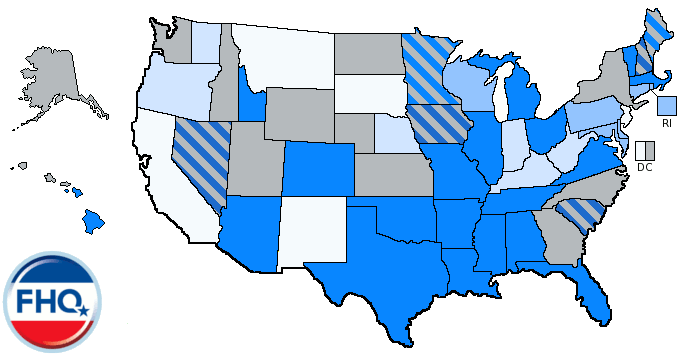 The conference affiliation naming of regional and sub-regional contests is a phenomenon that is unique to the so-called SEC primary and its proposed midwestern offshoot Big Ten primary for the 2016 cycle. Google News searches for "Big Ten Tuesday", "Big Ten Primary" and "Big Ten Regional Primary" all back this up. There are no results for any of those searches constrained to the relevant period (1/1/1995-6/30/1996).